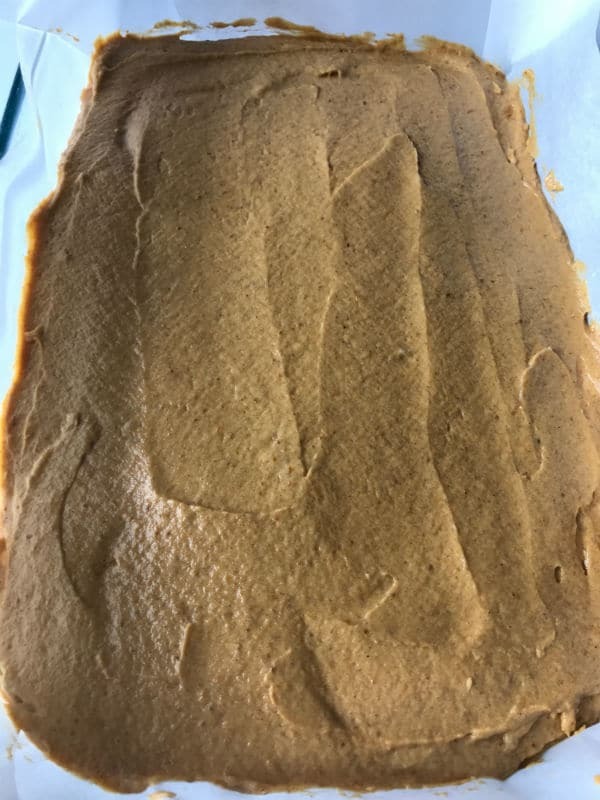 Super moist pumpkin cake the has BUTTER , real butter and the taste is oh so beyond this world.This is not just another pumpkin cake, it is so delicious, it is every butter fan dream. Gorgeous, soft, spiced and mildly sweet. When it comes to pumpkin desserts, I only know that one and only pumpkin bechamel that I’ve made twice on this blog. 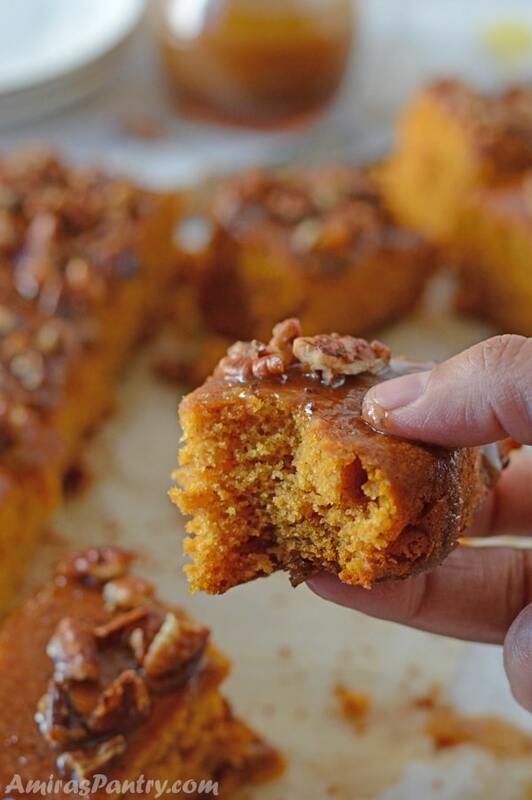 This Egyptian and probably Middle Eastern classic is the only pumpkin dessert that we used to know in the region. 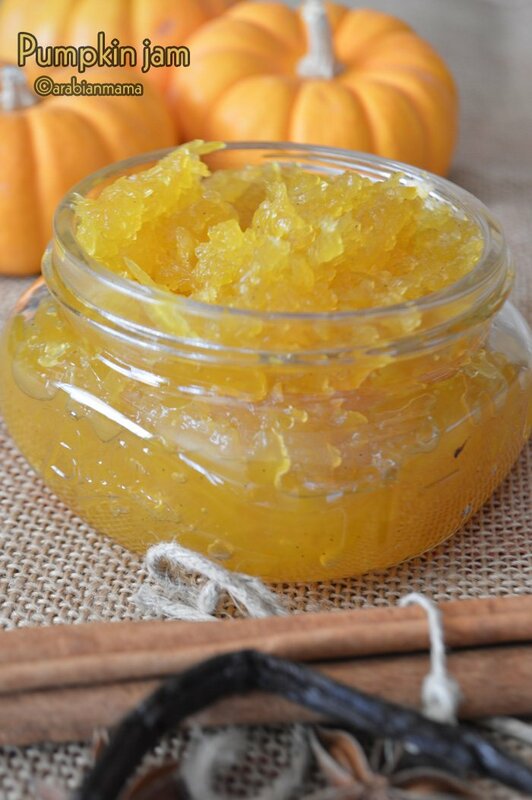 I hated pumpkins when I was young and refused to taste that dish, of course this was all in the past, now that I am a grown up girl who loved her dessert to the fullest and would not say no to ANY  . I love brown butter, I will tell you a secret and I hope you’ll not hate me for it. When making ghee out of butter, you know these little brown things that is usually there at the bottom of the pan, Do Not Discard pleaaaaase. These smell like heaven and tastes even better than it smells. My mom, used to add some salt to these and we keep them in a jar, in Egypt these are called ” Morta” , I guess not many people know it. So what do we do with these arteries clogging jars?, you ask. Well, we eat them, use them as a sandwich spread, use them as a dip …. and the list goes on. This is one of the main reason I try not to make ghee at home, really I will not be able to throw away these stuff, it will be a disgrace to the family hehehe. 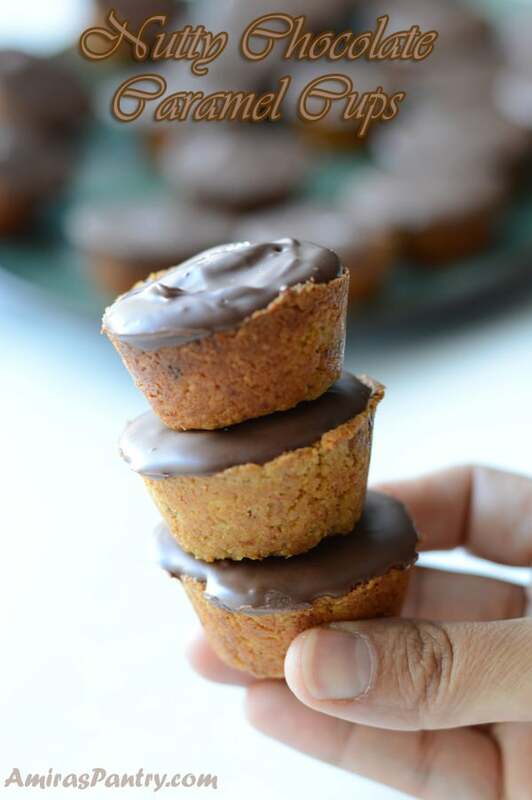 I know you’ve probably seen hundreds of pumpkin cakes already, it is all over pinterest anyways. But seriously, you need to try this recipe. 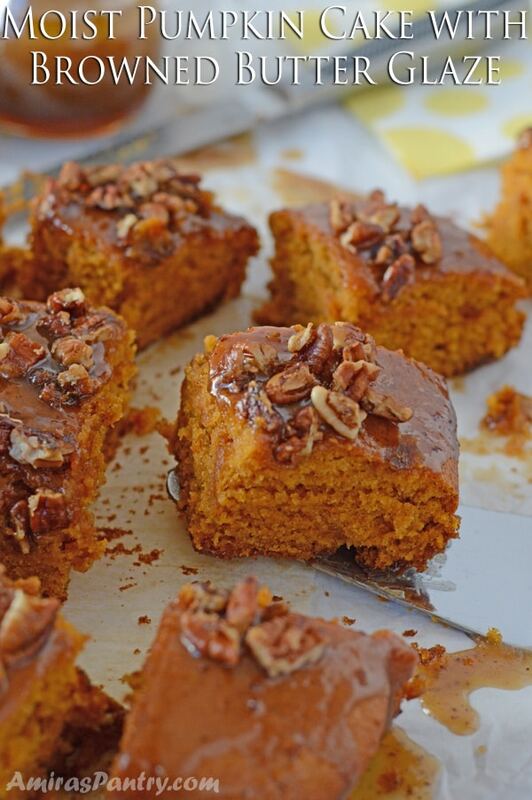 By using brown butter, you will easily transform an ordinary pumpkin cake into something that makes you want to lick the baking pan. 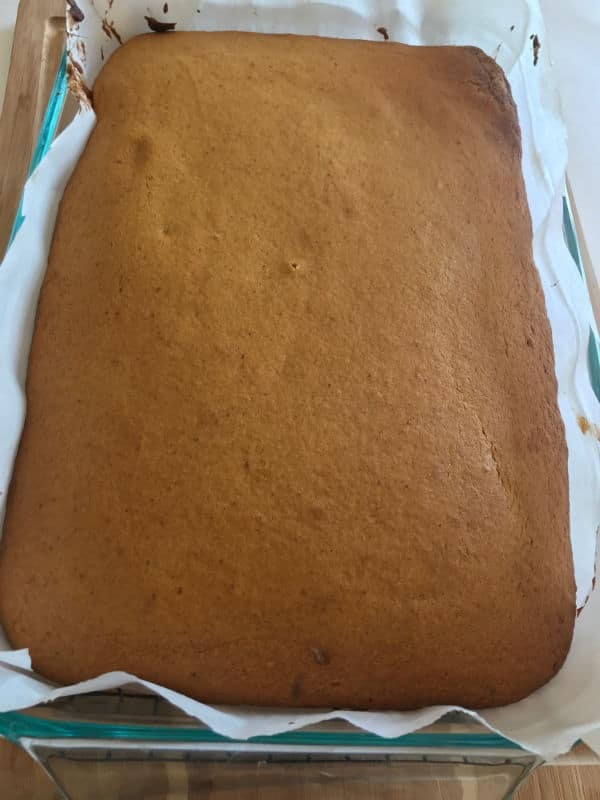 To be honest, this cake itself is nothing special, you know that creaming of butter and sugar, adding flour, baking powder, buttermilk, eggs, pumpkin puree and a few other spices, pop in the oven to bake. Brown butter makes it buttertastic by all means. I am hooked, I will probably bake with only brown butter from now on. We’ll brown the butter first, so heat the butter gently over low heat in a light until it has melted completely. The butter will start to bubble and splatter, keep stirring or swirling the pan. Make sure to scrape the sides and bottom of the pan to prevent burning. 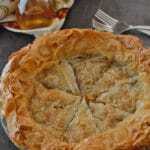 Continue cooking on low until the butter is dark golden brown and has a delicious nutty aroma. Pour the brown butter in a heat proof bowl then place in an ice bath to harden a bit. 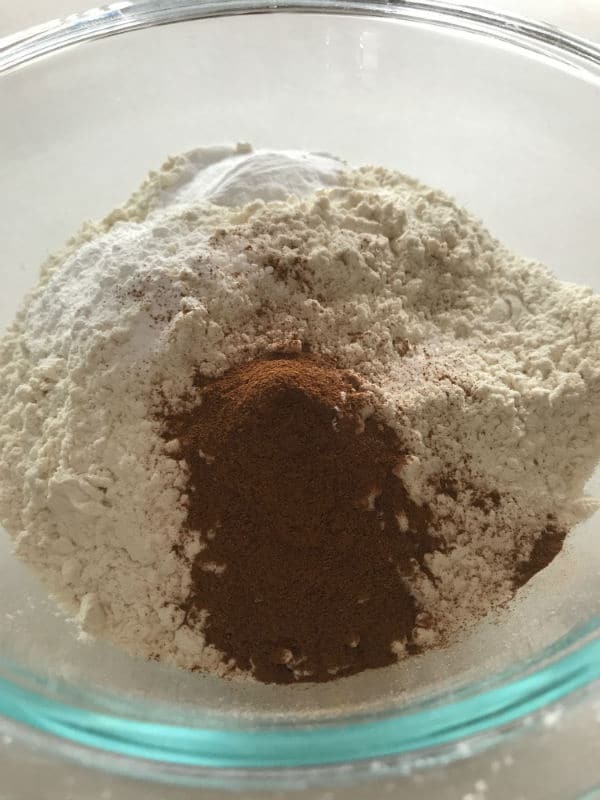 In a deep bowl, combine flour, baking powder, salt, baking soda and cinnamon. In another bowl, combine buttermilk and pumpkin puree. By this time, you’ll notice that the butter got hardened but still soft not in a liquid form. 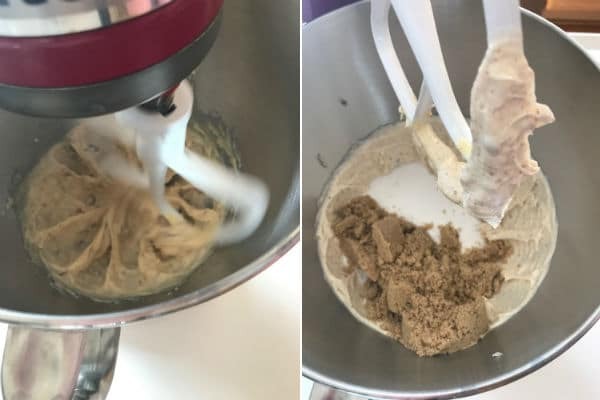 Cream the butter in your mixer bowl, then add sugars and cream once more. Then comes the eggs one at a time then gradually add the flour mix. And mix all these ingredients together. Pour into a 13×9 oven pan lined with parchment paper, level the surface and try not to lick the spatula. Bake for 30 minutes or until a toothpick inserted in the middle comes out clean. Leave the cake in the pan for 10 minutes then transfer into a cooling rack. Make the toasted pecans by melting the butter, then toast the pecan, add the brown sugar and some salt. 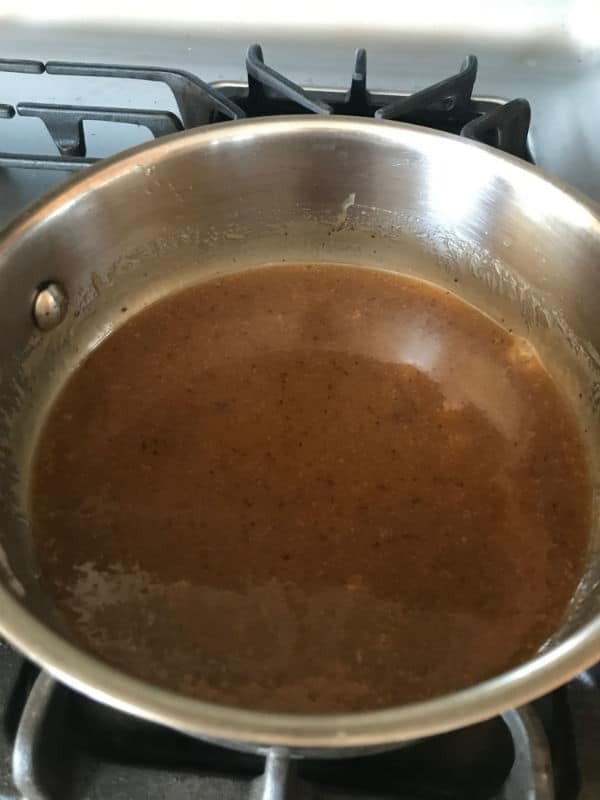 Make the nutty buttery awesome browned butter glaze by browning the butter as before then adding all the ingredients, stir quickly over low flame until it bubbles and thickens. Pour the sauce over when cooled and sprinkle a generous amount of toasted pecans on top. Sweet and moist but it also packs a toasty, nutty punch. It is amazing how simply changing one ingredient elevates the flavor that much. You need this cake in your life, trust me. 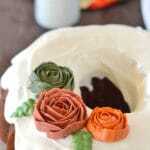 Do not be intimidated by the many steps of this cake, the resulting cake worth your time. 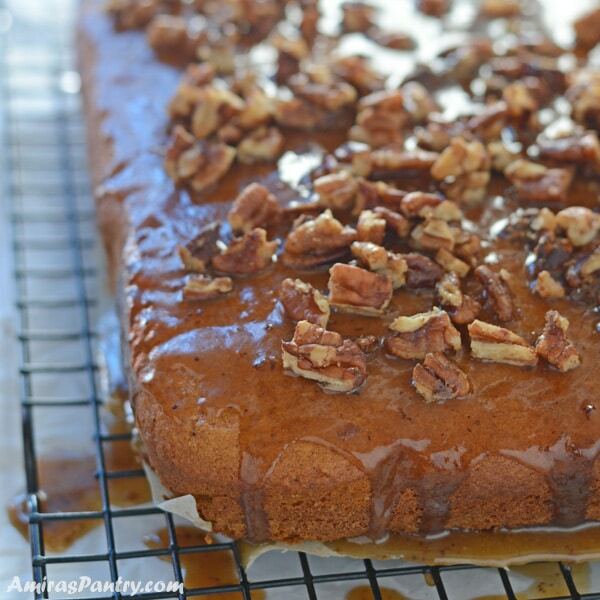 Pumpkin Cake With Browned Butter Glaze. 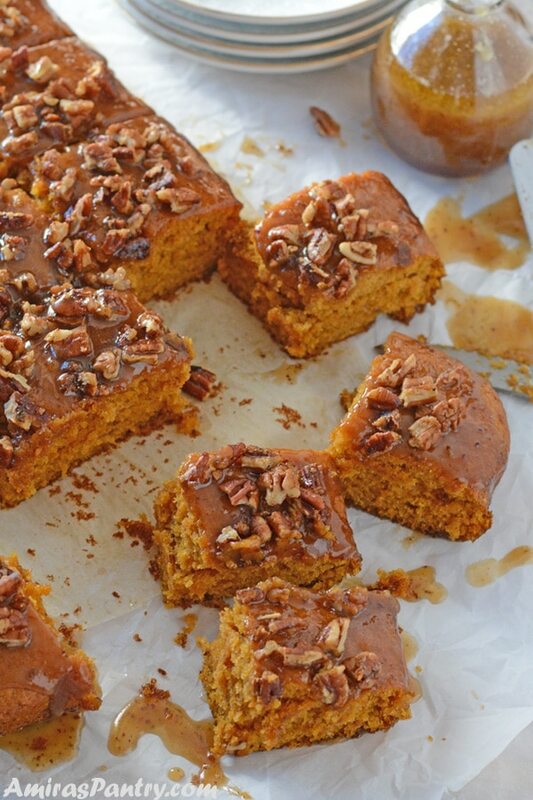 Moist, lightly spiced, nutty and so buttery pumpkin cake. 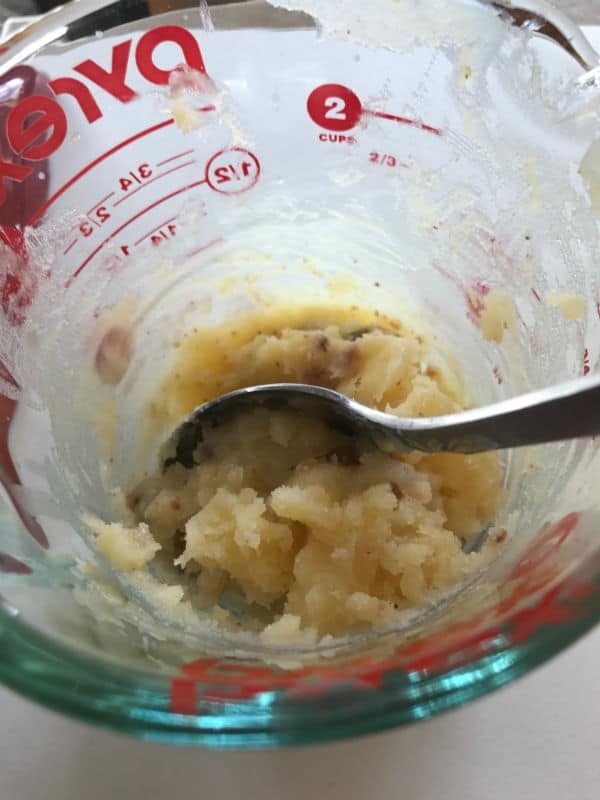 3/4 cup + 1 Tablespoon unsalted butter. 2 1/3 cup AP flour. 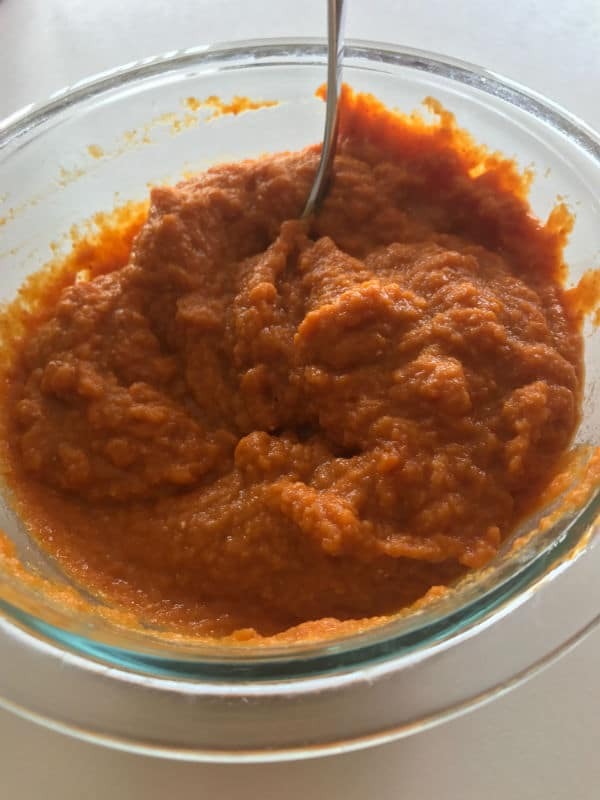 15 oz can pure pumpkin puree. 1/2 cup pecans coarsely chopped. 1 Tablespoon salted butter **. 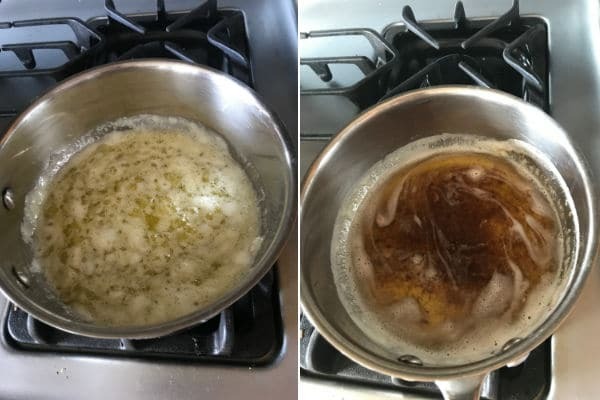 In a light colored saucepan over low heat , add butter .Butter will melt, then foam , then the foam will start to go away. keep stirring frequently. Brown flecks will start to form at the bottom. Once they're golden brown , and the butter smells nutty, remove pan from the heat. Pour it into a heatproof bowl. Set the bowl in an ice water bath until the butter begins to set around the edge, about 15 minutes. 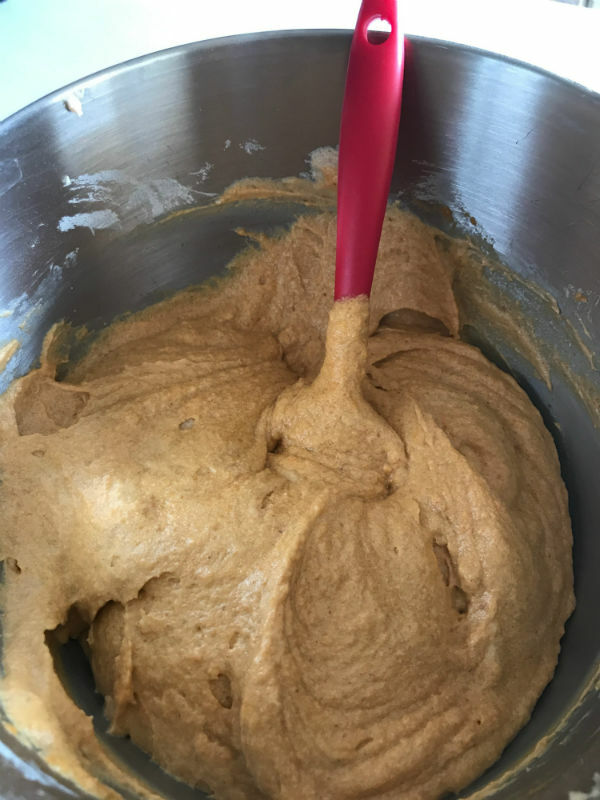 In a large bowl, mix flour, baking powder, salt, baking soda and cinnamon. Set aside. 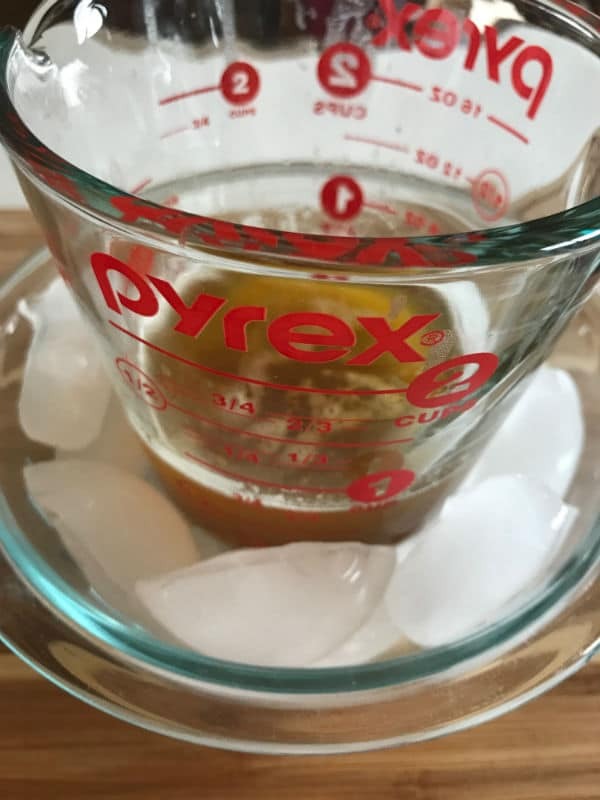 Remove the bowl from the ice water and scrape up the hardened butter. Transfer the butter to the bowl of a standing mixer beat until creamy. Add sugars and cream, add eggs one at a time. Gradually add flour mixture and mix well. 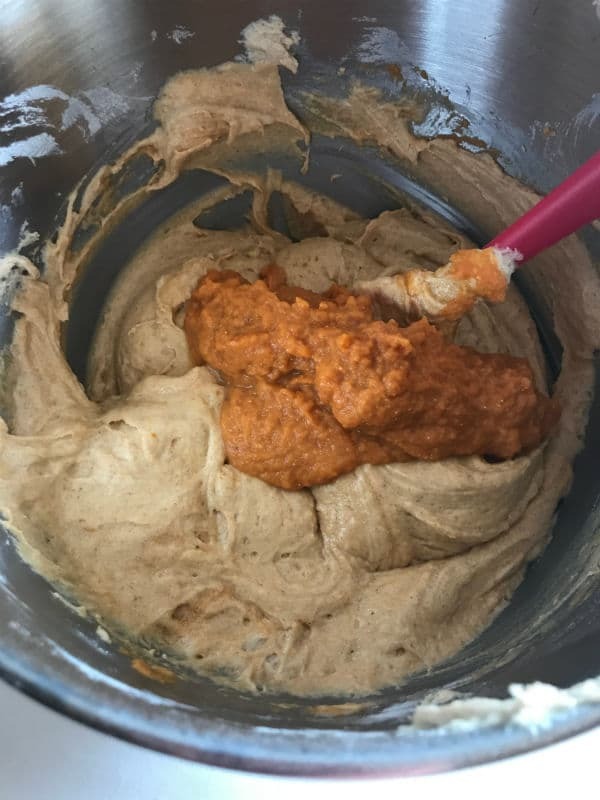 In another medium bowl, combine together the pumpkin puree and buttermilk. Stir in the pumpkin mixture until well combined. Pour the batter in a 13x9 baking pan lined with parchment paper. Bake for 30-35 minutes. When done take it out leave it in the pan for 10 minutes, then transfer the cake to a cooling rack to cool completely. In a small light colored saucepan, melt butter over low heat as before and wait for it to turn golden brown. Remove pan from heat add sugar and heavy cream, stirring with a whisk. Return the pan to the stovetop and stir for another 3-4minute or so until the sugar is dissolved completely and the mixture thickens a bit. Let the sauce cool down for about 20 minutes. In a skillet over medium heat, melt butter then add pecans, stir until starting to toast. 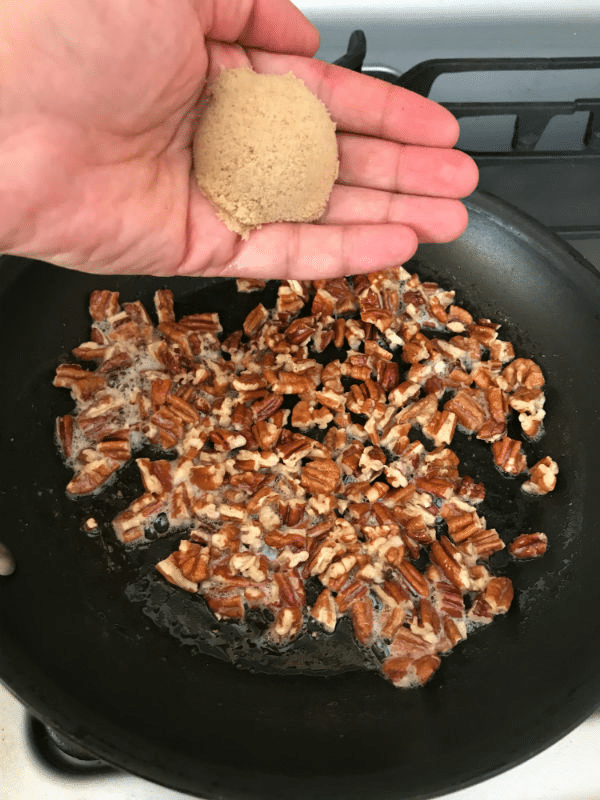 Add sugar and stir until sugar starts to caramelizes coating all pecans. Pour sauce over cake and sprinkle with pecans. * You might also use ground ginger, cloves and or nutmeg. 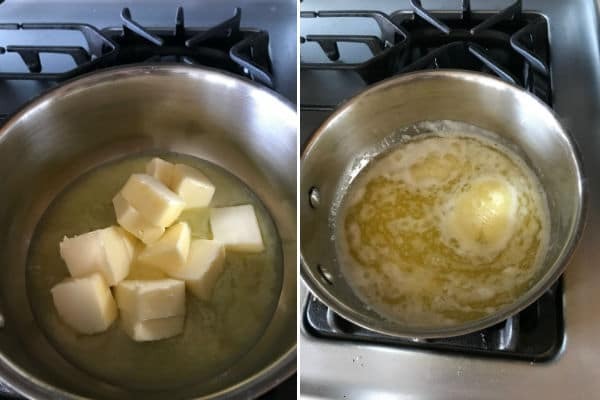 ** You can use unsalted butter with a dash of salt. This cake looks great. Though I am not a huge pumpkin person other than a piece of pumpkin pie at Thanksgiving, I am intrigued to try this. And even more than that, I am so excited to know how morta is made! I remember my aunt would make it when we’d visit Egypt in the summer and the house would smell amazing! And the taste is something else. I knew it had to do with boiling butter, but I guess I never paid attention to exactly which part of it was the morta. I think I thought it was the foamy part that floats to the top. I’ve never made ghee at home, but I must do it now. 🙂 So I guess ghee is just what is called in Egypt “samna baladi” ? Now I will know to try this and to scrape the delicious morta from the bottom of the pan. Thank you! Aaaah Gina, morta is the love of my life :))). Samna safra actually is this type of ghee. Samn baladi is the one that is made with white butter that comes from buffalo but the yellow butter- like the one we have here in the US- is from cow. 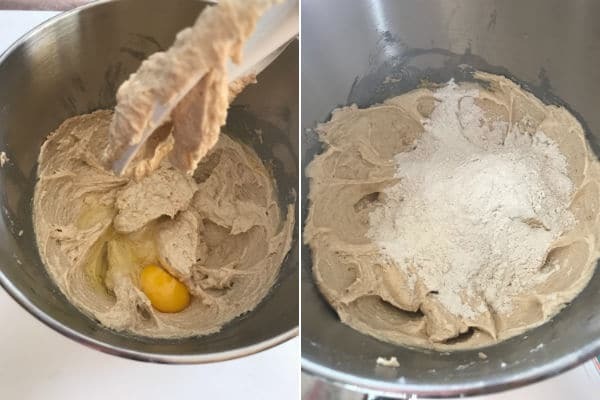 I do not like samn balady a lot, I’ve always prefered the one made with the yellow butter even when we were living in Egypt. Thanks for the comment and I hope to see you here more often. 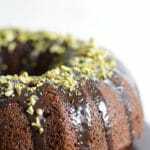 Your cake with the brown butter glaze must be absolutely moist and delicious. It is super delicious, Karen. I hope you’ll try it soon.